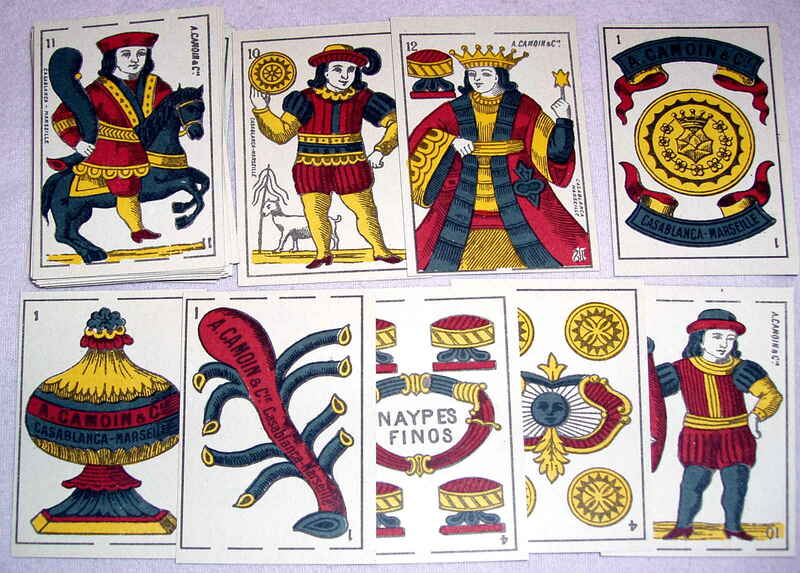 Above: Cartes Espagnoles No.484 by A. Camoin, Marseille, c.1890. This version of the Spanish National pattern was produced mainly for North Africa but it is also known in Ecuador. 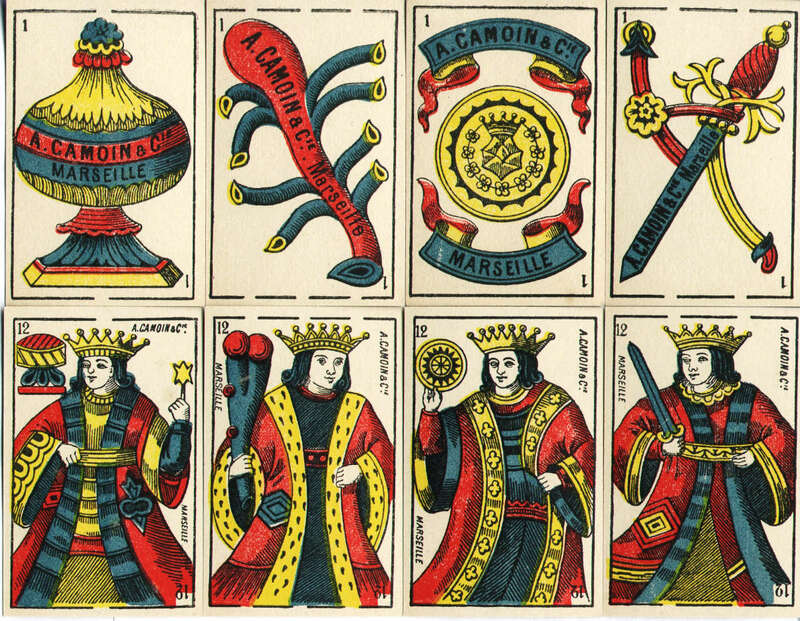 The Kings' feet are hidden beneath their robes and there are no beards or moustaches. All the horses are rearing. 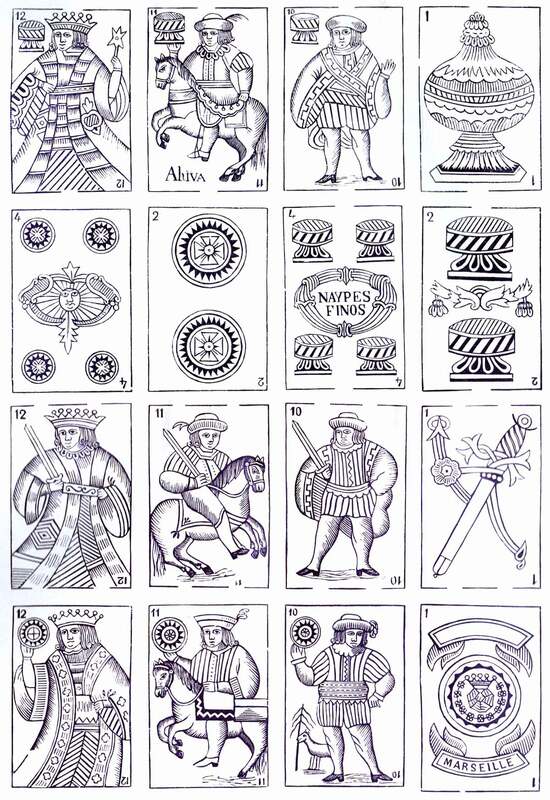 Above: Spanish Moroccan patttern, 19th century, facsimile edition reprinted from original woodblocks by Vito Arienti, Edizioni del Solleone, 1978.